In the early morning hours of September 1, 1939, military forces of Nazi Germany invaded Poland. Later that day, events unfolded that would lead to one of the most fanciful and enduring legends of World War II. 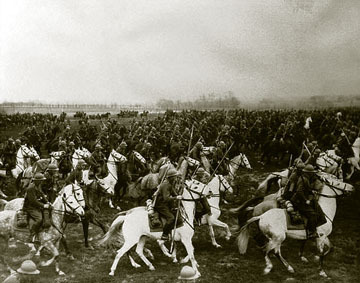 The Charge, battle or skirmish of Krojanty was a cavalry charge that occurred during the Invasion of Poland in the Second World War. It took place on the evening of September 1, 1939 near the Pomeranian village of Krojanty. 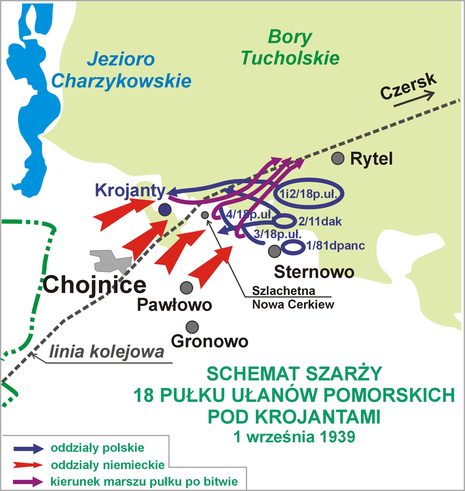 They advanced east along the former Prussian Eastern Railway to railroad crossroads 7 kilometres from the town of Chojnice (Konitz) where elements of the Polish cavalry attacked the German Wehrmacht infantry battalion. 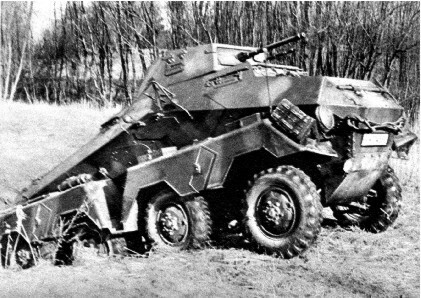 During the attack the cavalry received machine gun fire from German armoured personnel carriers stationed nearby and were forced to retreat. 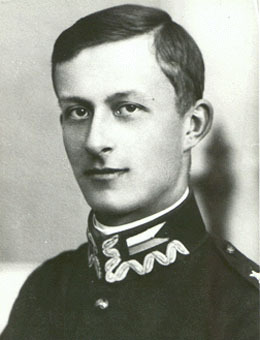 Delay of the German advance is claimed as successful completion of the Poles' mission. Happening on the first day of the war, it was one of its first clashes, and part of the larger Battle of Tuchola Forest. 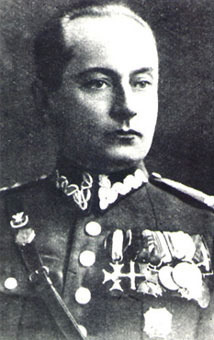 The incident became notable as reporters visiting the site soon after saw the dead bodies of horses and cavalrymen which lead to false reports of Polish cavalry attacking German tanks. 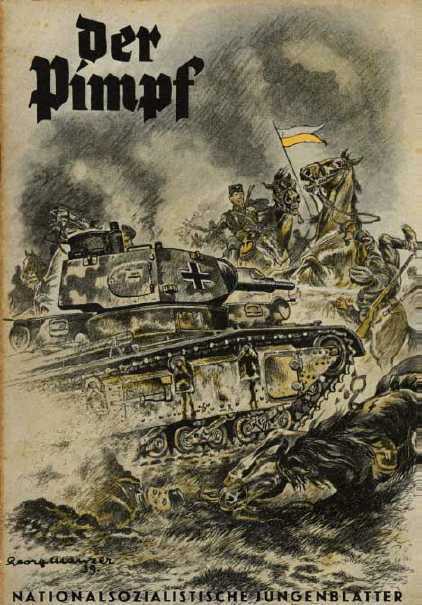 Nazi propaganda took advantage of this, suggesting that the Poles attacked intentionally, believing that the German still had the dummy tanks the Versailles treaty restrictions had permitted them. The scene of Polish cavalry charging the Panzers with their lances has become a myth.